Her cool exterior lets her deal with problems in a logical fashion, but do not cross her as she will put you in your place. Her dual disks allow her to skate around San Fransokyo while also acting as weapons to trip up any criminials that stand in her way. 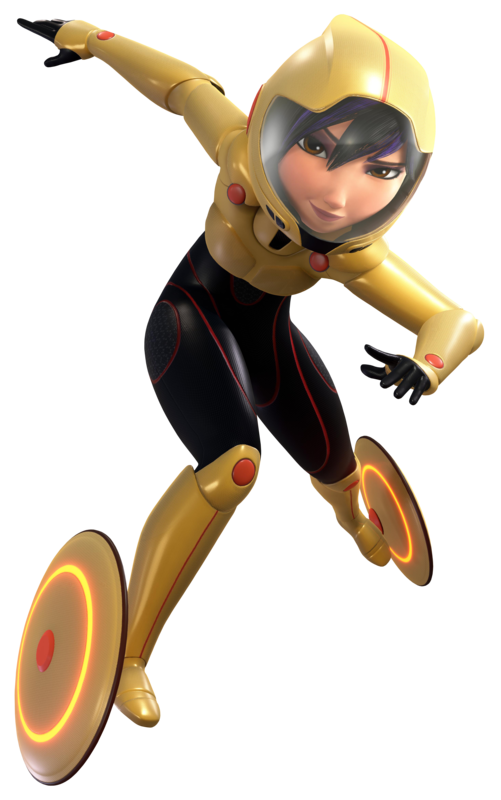 She helps Hiro and Baymax fight Heartless on the San Fransokyo Bridge, but a swift blow knocks her unconscious. She doesn't let the loss affect her, and bounces back into battle with her trademark cocky attitude.